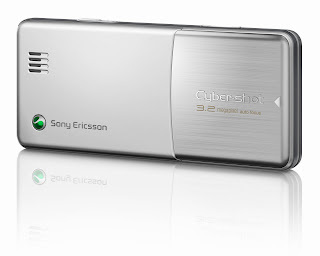 Sony Ericsson has recently announced their new affordable Cybershot model, the Sony Ericsson C510. According to Sony, The C510 will incorporate their new smile shutter technology. The Sony Ericsson C510 has a candy bar design which reminds one of the previous Sony K810i mobile phone. It has a 2.2 inch screen and has dimensions of 107 x 47 x 12.5 mm. There's really not much to say about the design though let's just hope that the M2 memory stick is located outside this phone. Now correct me if I'm wrong but I think it was Sony who first introduced the smile shutter technology in their digital cameras. So, how come it was Samsung who was first to incorporate it on their mobile phones? It's a little bit late for Sony to be boasting about the smile shutter technology though let's just hope that there software can recognize smiles better than on Samsung's. The C510 also has face detection, which, as we all know, has been present in some mobile phones now. 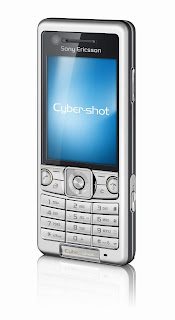 The Sony Ericsson C510 has a 3.2 megapixel camera with autofocus and LED light. As for the image quality and video quality, we'll probably find more about that when the user reviews come in. As for audio quality, this is no Walkman phone but it does have a media player, TrackID, PlayNow, and Album Art. There's no shake control, of course but it does have an accelerometer. Maybe some tech savvy individual will be able to flash this phone and make use of the Walkman player on other Sony Walkman phones and make it compatible with shake control. 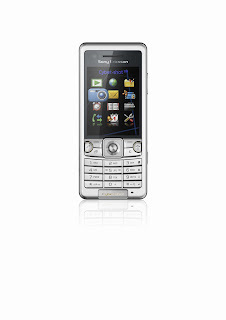 Other entertainment features of the Sony Ericsson C510 includes motion gaming, YouTube application, FM radio with RDS, Bluetooth with stereo A2DP profile, and it can also support GeoTagging of photos using Cell-ID. The C510 is compatible with GSM/GPRS/EDGE 900/1800/1900 networks and UMTS/HSPA 2100 networks. If the Sony Ericsson C510 is as affordable as Sony Ericsson says it is, then this phone would be a good choice for those first time mobile phone buyers looking for a cameraphone. Of course, if the K810 is still available in the market by the time the C510 is released, the former is still a better choice. I mean, who needs face detection and smile detection anyway? I hardly use those features on my Omnia.